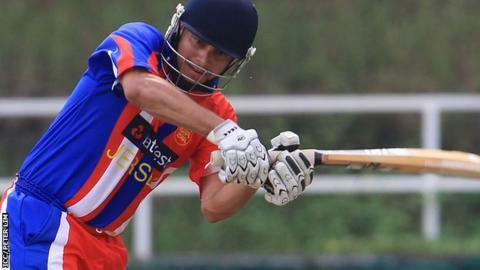 Jersey batsman Dean Morrison has been cleared to play in next year's World Cricket League Division Five. Morrison had fallen foul of an International Cricket Council rule requiring players to spend at least 183 days in the nation they represent. The Australia-born opener had fallen below the minimum number of days after an extended period of travel. "It does strengthen the pool of players available to us," said Jersey Cricket Board chief executive Chris Minty. "That's good news for us. We had applied, in the normal way, for players to be cleared but given that ICC had not cleared him to play in 2013 it was a pleasant surprise." Division Five will pit Jersey, against Guernsey, Nigeria, the Cayman Islands, Tanzania and hosts Malaysia in March. ICC rules released in 2010 state players may represent a nation in which they were born, or for which they have a valid passport, or where they have lived for at least 183 days in each of the previous four years.